Sometimes an unexpected pearl becomes unearthed before you, as was the case with Yaniv Brick‘s philosophy on collecting designer toys. Amidst a delightful conversation, Brick nonchalantly likened his collection to a bonsai tree, a beauteous whole that required careful attention and thoughtful pruning to be properly maintained. An eloquently expressed philosophy, its essence is a common concern among some designer toy connoisseurs: that the entirety of their displayed collection is as strong as the individual works it is comprised of. And this can become most problematic when smaller pieces reside next to larger ones, the tinier works’ impressive details lost in the shadow of the giants surrounding them. 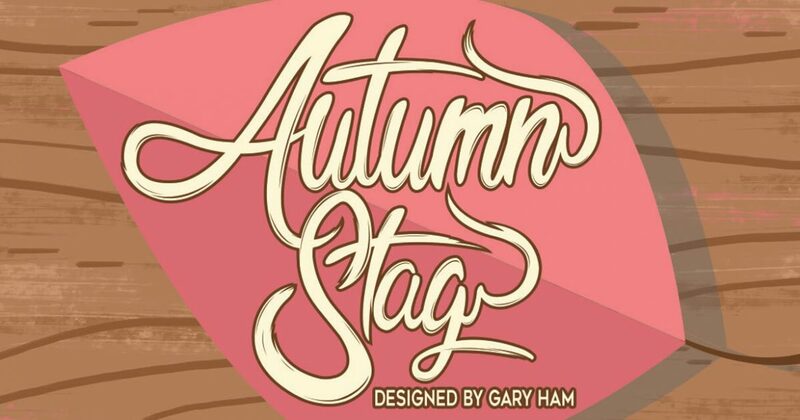 In fact, it is perhaps this very conundrum that drove artist Gary Ham to spend the last several years devising impressive and creative shelving structures for smaller designer toys, such as his notable Autumn Stag design. In October of 2012, almost two full years before his faux-wood Autumn Stag debuted from Pobber Toys, Ham displayed an early treading into his shelving-as-art concept in his Dead Wood solo exhibition. With the deceptively simple two-foot tall and two-foot wide Skull Shelf adorning the wall of Albuquerque’s Stranger Factory gallery, Ham recalls this work as being “one of the most intricate and difficult things I have made to date” and laments that “it didn’t house that many [designer] toys”. At the time, IKEA‘s Detolf glass-door cabinets and acrylic risers were the primary display options for designer toy collectors, with Ham recalling how he “wanted to explore another avenue to more creatively display and elevate collections”. Uninterested in replicating the Skull Shelf‘s specific form, Ham’s pursuit of grander-sized display options for smaller works manifested next as a tree-shaped stand that accompanied half of his Whoogle the Owl artist proof sets, this aspect allowing the normally 3-inch tall production figure to nestle itself at a roughly 8-inch tall height. Simultaneous to this successful direction, Ham began working upon a conceptual sketch series he referred to as Pleasantrees, each depicting “a toy-aesthetic design [in which] to display collections”. And one of these became May of 2014’s “Autumn Stag shelf, that I made for myself”, the artist admits, a massive sculpture capable of elegantly housing roughly three dozen small-scale designer toys upon its wooden frame, its shape inspired by one of Ham’s works from 2012, the Autumn Deer. Shortly after sharing the Autumn Stag‘s initial build on his Instagram, “Jake [Lee] of Pobber Toys reached out to me”, Ham reminiscences, the pair conspiring to produce the design as an edition, each cast in resin and “painted to match my original, stained wood sample”. As the years passed, Ham crafted several other shelving design concepts but the Autumn Stag seemingly haunted his thoughts, the artist deciding to revisit its aesthetic for his unique contribution to 2016’s New York Comic Con DTA Dunny Show. Built upon a specially-modified rendition of Kidrobot‘s 5-inch tall Dunny form, Ham confirms that this work doesn’t merely share the Autumn Stag‘s title but also that “it is very much based on the original creation with Pobber. There were some necessary changes”, he adds, referring to alterations essential to the differing form’s shape, “but the essentials of the Autumn Stag are all still there”. As to the nature of those essentials, Ham defines his design as “being a deer with leaves for ears and tail, branches for antlers”, which smaller pieces are displayed upon, “a swing, [and] wood grain to pay tribute to the original piece”. And, just shy of a year later, Kidrobot issued two 3-inch tall editions of this design as part of the Designer Toy Awards Dunny Mini Series. In fact, these factory-produced renditions were already planned when Ham created the exhibition’s one-of-a-kind rendition, which he admits to doing “because, at the time, I had some concerns as to how the 3-inch version would be and wanted to test some things out for myself rather than wait for potential production hiccups. Everything worked out great”, Ham adds, “and collectors got an early look at one of the designs in the series, even though they were not aware of it at the time”. And even though Ham wasn’t aware of it at the time, his Autumn Stag Dunny was destined for bigger things. A brilliantly self-referential interpretation, the 3-inch tall Autumn Stag Dunny wasn’t intended as a functional display area but rather was issued with tiny figures to capture that aesthetic. And when Kidrobot invited Ham to conceive of a 20-inch tall rendition of this form, Ham initially believed that this larger-size would allow for the display of other works from personal collections and that an accompanying trio of 5-inch tall Dunny sculptures “might be something that collectors wouldn’t necessarily need”. Ultimately, the artist proposed including the additional pieces, decorating them with “simple black eyes and a triangle for a beak”, which he concedes was so that “they could be viewed as perched birds” and thus “add a bit more personality and purpose” to the entirety of the finished work. Beyond these avian additions, themselves perhaps a subconscious homage to Ham’s own Whoogle the Owl design, other alterations were made as the artist wished to “take the opportunity to do something a little different to make the 20-inch version more unique”. Beyond employing “pie-cut eyes” similar to those on his unique Autumn Stag piece from 2016’s exhibition, Ham discloses that he “added a dry brush effect that the 3-inch versions did not have, made some slight color changes, added a raised tail and new carved elements on the backside, scribed woodgrain and leaf veins, and had the swing be adjustable and removable as it was on the original Autumn Stag shelf [that was made] with Pobber”. With all these small differences contributing to the creation of a whimsically stunning whole, Ham’s quest to create a functional but artistically pleasing display shelf has resulted in something else entirely: a work that is art in and of itself. Gary Ham’s 20-inch tall Autumn Stag Dunny is being produced in the pictured color scheme as a made-to-order edition, those reserving one promised to receive the finished piece in May of 2019. Click here to acquire one exclusively from Kidrobot.